Angus Beef Producers Schools Competition. 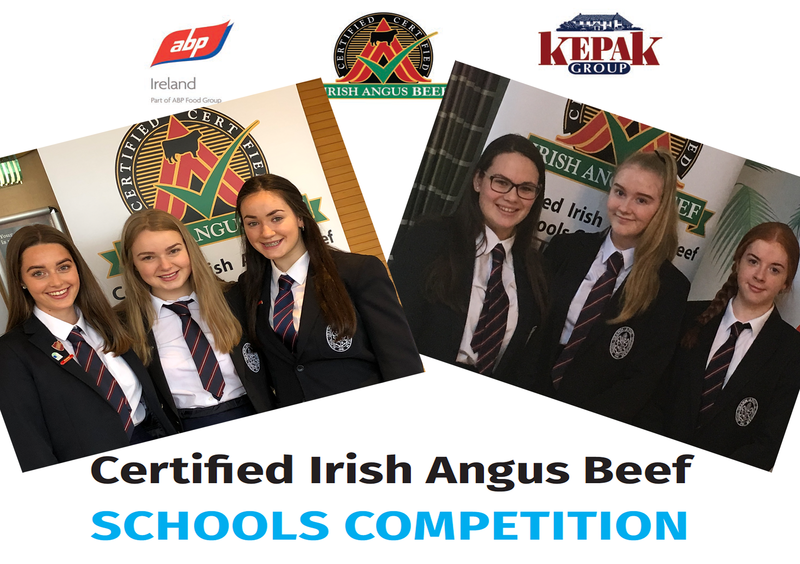 Sligo Grammar School is delighted to report that two teams have had their Angus Beef projects chosen to proceed to the final stage of this year’s competition. Both groups are all-girl teams, made up of TY students. The first team is made up of Genevieve Cox, Laura West and Rebecca Harte, while the second group is Rosie Wright, Sarah Cunningham and Emma O’Gorman. The teams had to present research and demonstrate an understanding of the Irish Angus brand and the work of the competition sponsors as well as outlining the role of Agricultural Science within the school. In order to progress to the 3rd stage the girls had to make a video for stage one and then attend an interview with a panel of 4 for stage 2. The students are competing against groups from all round the country, and 5 finalists will be chosen at the next stage at Croke Parke on 14th March, where the girls will represent Sligo Grammar School. The competition is designed to encourage TY students to learn about rearing and slaughtering Angus beef animals. The five winning groups from around the country will receive the calves and will rear them for 2 years alongside their Leaving cert Agricultural science course. The girls will be working hard in the coming weeks under the watchful eye of Miss Higgins in preparation for their big day in Croke Park. We wish the girls all the best in the competition.